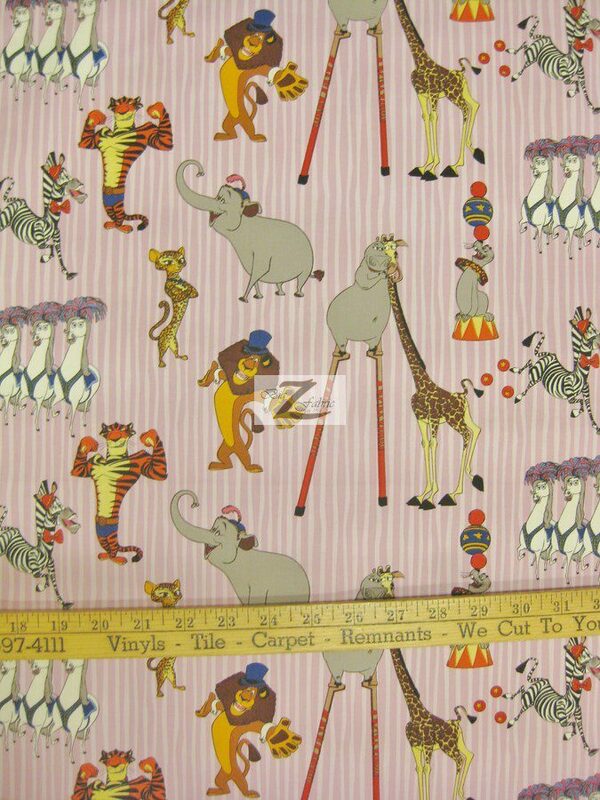 The great animated Madagascar movie is now on licensed 100% cotton prints by David Textiles. This is perfect for quilting projects, clothing and more. 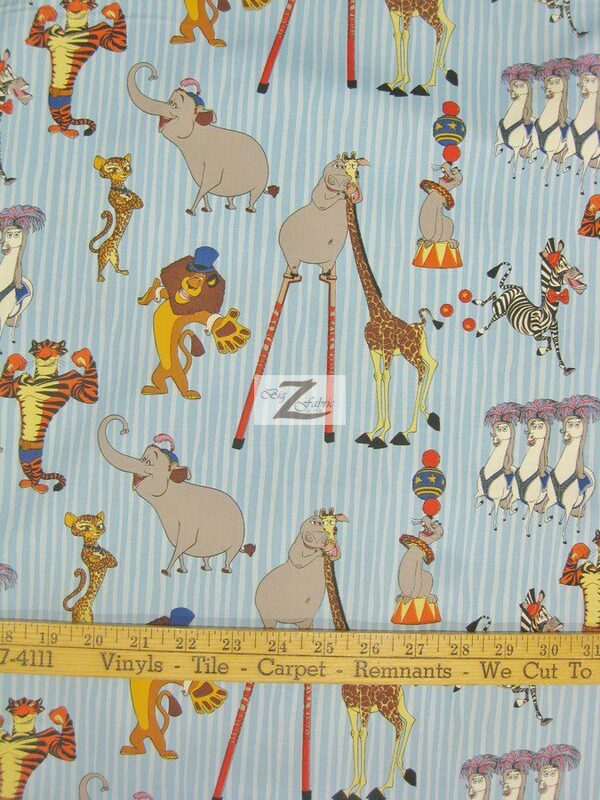 Our Madagascar Cotton Fabric has the famous characters like Alex, Marty, Melman, Gloria and many more. 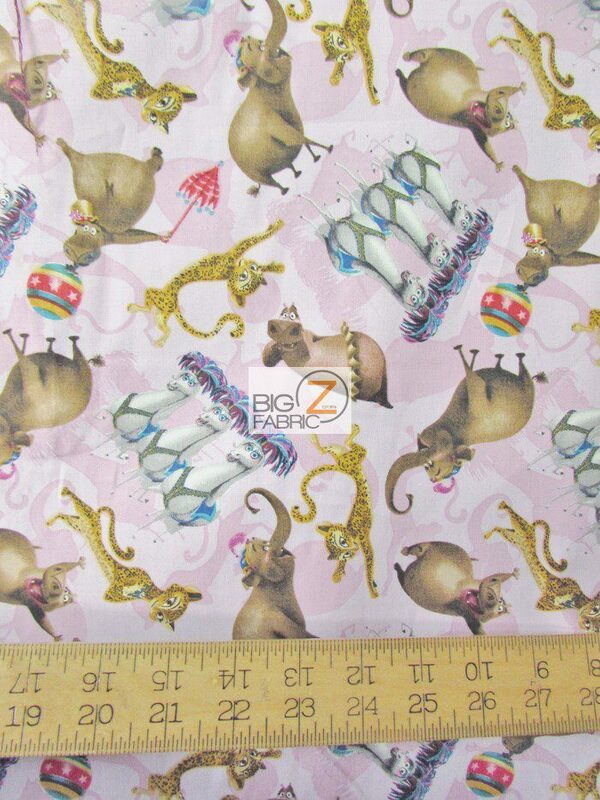 This cotton fabric is sold by the yard.